The War of 1812 grant has come to a close. 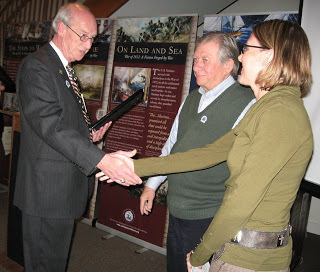 A reception held on January 31 at the Maritime Museum honored all of the participants. The Friends of Concord Point were presented with a lovely plaque by the Mayor. Thanks to everyone for all of the hard work on the grant! 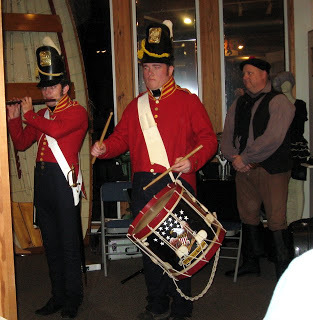 Aspects of the grant include War of 1812 displays at all of the museums. 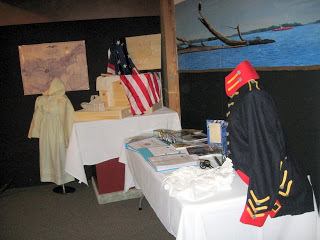 There is a town model on display with interpretation at the Visitor’s Center and two travelling trunks are available for check-out to use in classrooms and with special groups. The deliverables will also be a part of the anniversary events on May 3-5, 2013. Plan to join us in the festivities! For more information about the trunks, contact us at 410-939-3213!